(TriceEdneyWire.com) - Elvin Colton (Not his real name) is a 32-year-old ninth grade dropout and recovering drug addict in prison for the fourth time. But later this year when he goes home to his children and family, he believes he will have spent his final years behind bars. There’s a reason for his newfound hope. Colton, whose real name is being withheld in order to protect his privacy, says the Continuum of Care Program (COC) at the Graceville Correctional Center - a privately-run facility operated by the GEO Group, Inc. in Jackson County Florida - is practically saving his life. Before leaving he will have earned his General Education Degree (GED). He also will have taken business and vocational courses offered at Graceville in preparation for his new life and career - a marked contrast to the way it was before - enduring a sentence and then being released from a public prison facility with little more than a bus fare home. “It was, ‘I’m gone do my time and then go home.’ Get $50 and be kicked out,” he recalled with a chuckle. The memories of other inmates in COC are basically the same. Another recalls being released with no transportation as he pleaded that his home was more than a hundred miles away. While not a magic cure for the ills of the criminal justice system, Colton’s experience under the COC program at Graceville has been much different as GEO Care and other companies are shedding light on ways that could help turn prisons from incubators of future crime to potential pathways for stability and security for former inmates. Reducing recidivism has long eluded the experts. In 2005, the Bureau of Justice Statistics undertook a study of over 400,000 prisoners in 30 states to measure recidivism. The results were discouraging: 56 percent of former inmates were arrested within a year after release and more than two-thirds, or 67.8 percent, were back in the criminal justice system within three years. In response to data like this, the National Institute of Corrections (NIC) and the U.S. Justice Department’s Crime Justice Institute (CJI) produced a report, Implementing Evidence-Based Practice in Community Corrections: The Principles of Effective Intervention, such as assessing risk, targeted skills training, reinforcement and getting feedback. GEO has long been developing ways to implement such principles and develop metrics to make sure they are effective. A father of five children, yearning to succeed for himself and for them, Colton says his experiences in the public Department of Corrections have been no comparison. His sentiments are echoed by dozens of others in GED programs, career skills classes, a tier specifically for faith-led inmates and drug rehab groups. Some, once hardened criminals, are nearly brought to tears while telling of their mothers and families witnessing their GED graduations. GEO Care says any inmate who enrolls in the program is assigned a case manager upon their release. There is also a call center for released inmates that they have access to for 12 months. Derrick D. Schofield, executive vice president of the COC program and Reentry Services for GEO, says GEO pours $2.9 million annually into the COC program at Graceville alone and $10 million annually into the 15 COC programs across the country. “When you do it dirt cheap, you get poor results,” he said. Schofield said GEO would like to place even greater resources toward the post-release services such as clothing, housing, and transportation. “We want them to succeed,” Schofield said of the inmates. Earlier this year, the GEO Group received the “Innovation in Corrections” Award from the American Correctional Association (ACA). Among the reasons was that the recidivism rate among released inmates who did not participate in GEO’s COC program was nearly twice the rate as those who did participate in the program, according to analysis included in nomination for the award submitted by the School of Criminology and Criminal Justice at Florida Atlantic University. Prior to serving as assistant warden of programs at Graceville, Wilton Cloud had spent 10 years as an assistant warden in the state corrections system. He said he thought, more or less, that this was the only way to do things. “But this company is sewing so many resources into this COC program that not only do they give an inmate an education or a vocation, but they also try to change their thinking so maybe they can put that to use,” he said of his experience with Geo Care. GEO’s recent annual report also outlines a glowing list of successes, which include 2,615 high school equivalency diplomas, 7,814 vocational certificates and 8,412 substance abuse program completions. It also boasts on its award-winning cognitive, behavioral and substance abuse treatment; high tech, enhanced academic programming; enhanced vocational training through nationally certified programs, and faith-character based services with an emphasis on mentoring and therapeutic community settings. 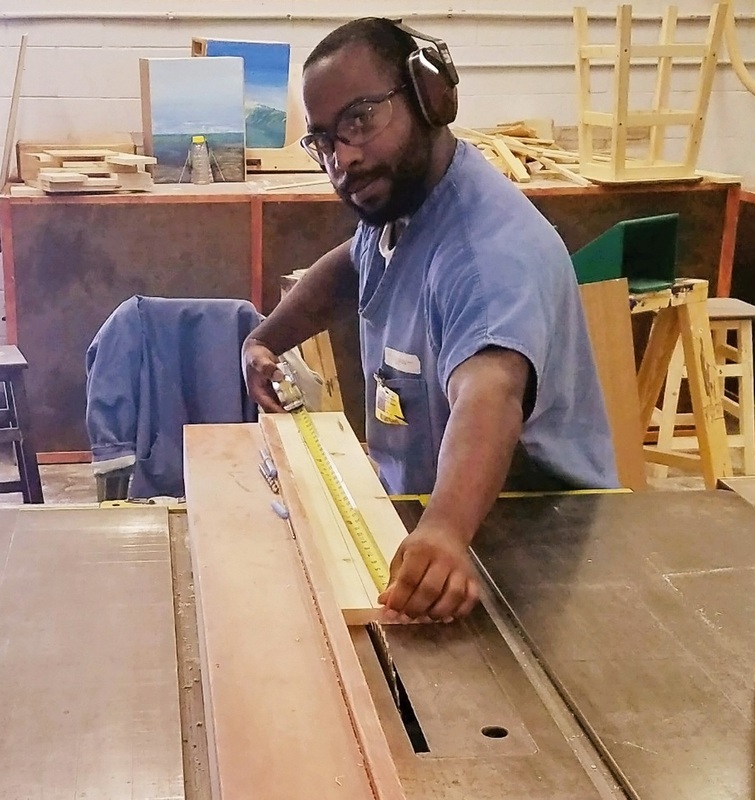 While the debate rages over whether companies such as GEO Care are part of the problem or the solution to the many challenges of the U.S. penal system, Colton is intensifying his preparation for his new life. He will spend less than two more months in Graceville before being released. “He’ll continue to meet with me every other Monday. We’ll discuss any concerns or questions that come up, any kind of support needs,” says Katherine Grady, his COC caseworker. Colton will also be eligible for post-release services such as help getting his Social Security card, his birth certificate, a resume, and a Florida ID. Colton traces some of his early troubles to abuses he suffered while growing up in foster homes. But he believes he is ready to make it on his own this time. GEO does not cast itself as the sole answer to the dysfunction in the nation’s prison system; nor does it compare itself to other prison systems or prison operators. For example, Schofield explained that the decrease in recidivism over the last three years is strictly one that GEO representatives have monitored among GEO’s own population. Nonetheless, he says, the company’s COC programs merit consideration in a wider effort at prison reform.